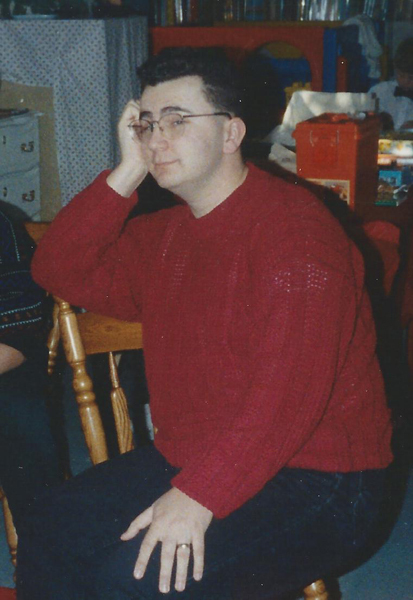 As far back as I can remember, I've always been fat. It's never been an emotional thing; I just come from a long line of fat people and great cooks. Family gatherings have always been centered around food, and my social circle considers themselves to be serious foodies. I count my dad as one of his heroes, and I take after him in so many ways. Some good, some not so good. He's also been a large guy my whole life. Over the last several years, I watched him struggle with health challenges: very significant extra weight, back trouble, and diabetes. And one day, as I sat in a hospital room with my dad, who was recovering from having a heart stent put in, it hit home for me. My dad looked old. And tired. And I knew suddenly that I was looking at a preview of coming attractions for myself. At age 38, and weighing 275 pounds, I had borderline high blood pressure, sleep apnea, and very low energy. I had to take action, or, as bad as I felt, this would be as good as my life was ever going to get. Of course, I had tried to lose weight and get in shape before. And failed. So many times, I lost count. And each new failure reinforced a suspicion I had about the way the world works: maybe some people are just meant to be fat, and maybe I should just stop trying to fight it. That made sense. After all, look how many fat people there are in the world. And hey, it could be worse, right? I could be in a wheelchair, or have some terrible disease. Compared to that, having it be my lot in life to be fat, maybe it's not so bad. Except it was. I hated it. I lacked confidence. I avoided cameras at all costs. I couldn't join friends when they invited me to do something active and outdoors. And eventually, they stopped asking. I was missing out on life. And now, with this realization that I had to do something, it was time to change that. For real this time. For good. That’s when I met my personal trainer, Myra, the woman I credit with saving my life. My first session with her was difficult; more emotionally than physically. And it was plenty difficult physically. I was incredibly embarrassed to find that I couldn’t manage even one push-up. But Myra was so positive and encouraging, I decided to keep at it. I worked with Myra weekly for six months, and I slowly found it getting easier. Every week, it seemed, I was discovering something new that I didn't know I could do. Or that I literally couldn't do the month before. My confidence began to grow. Then Myra asked me to set a fitness goal, something specific to work toward. I was really surprised by what tumbled out of my mouth: I wanted to learn to run. Myra taught me the basics of a running stride on a treadmill, and watched my form. After about six weeks of work, I was able to go a mile without stopping. It wasn't fast or pretty, but it was a whole mile! It made me feel like I could do anything! Encouraged, I quickly set a new goal: to run a 5K. I trained diligently for 3 months. 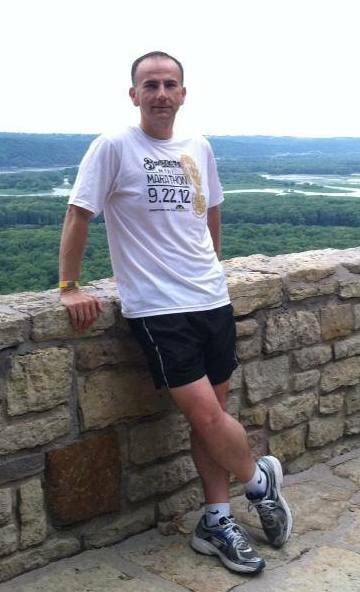 On race day, I was nervous, concerned that the runners would judge me, or question why I was even there. But no one paid me any attention. And I met my goal: I ran the whole distance without walking. I was hooked. I set a new running goal every three months after that, leading to my first 10K, 15K, and half marathon, and then eventually to my first marathon 18 months later. My weight fell quickly during that time, a span of about 2 years from that first zero pushup day with Myra. I dropped 90 pounds, and my his health improved dramatically. My blood pressure dropped 30 points. My cholesterol dropped 100 points. My doctor was amazed. No more medication, no more staying home while everyone else goes out to have fun. Now, I have a lifetime goal to run a marathon in every state in the US, including qualifying for and running the Boston Marathon. And because I received so much help and support along this journey, I feel strongly about helping others achieve success. I became certified as a Road Runners Club of America distance running coach, and am now coaching people around me off the couch and across finish lines. The person I was then wouldn’t even recognize me now. I know I will never go back. I've worked too hard, and I feel too good to go back. Now, it’s time to pay it forward.